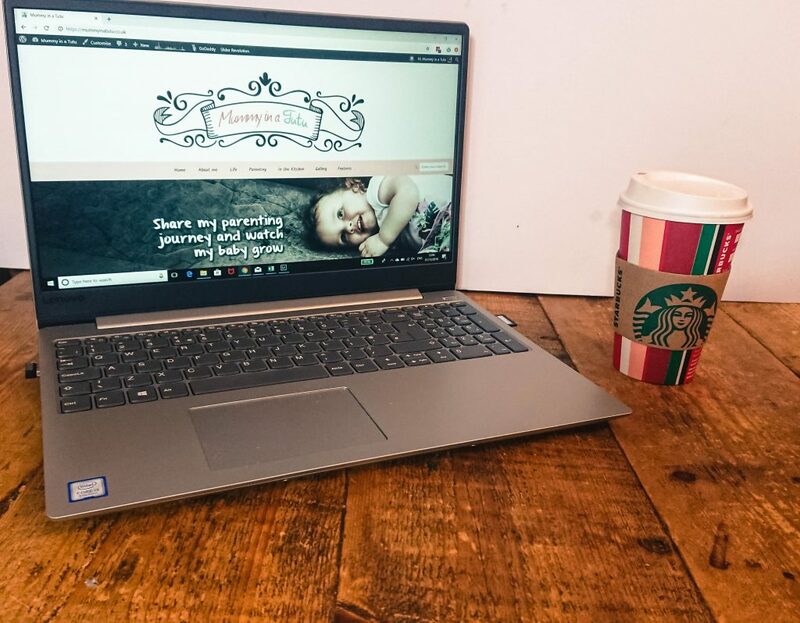 Apart from the first 5 months of my blogging life where I used my mum’s desktop computer, I have only ever used my beloved former laptop and obviously had everything set up the way I liked it. I was a little nervous to begin again on a whole new laptop but had to give it a go. 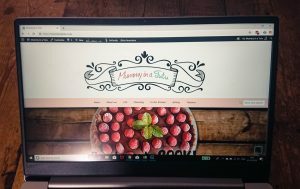 The Lenovo Ideapad 330S-15IKB 15.6″ Laptop made everything really easy to set up – Right from the start you get Cortana who asks for your information which, thanks to the fact I used an online storage and settings system, meant I could input my email address and all my settings were then there and ready to go and I was able to access my shared drive on my laptop immediately. Something new for me was that I was also able to permanently sync my phone to my laptop as well which in the two weeks I have been using this laptop has been great for transferring media and work. 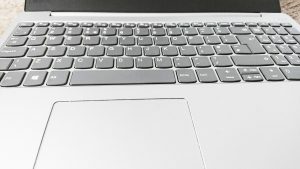 That’s the key information – the battery life and the hard drive storage are brilliant for bloggers. Other information you might like to know is that it has an in-built microphone and camera, usb ports, a memory card port which is great for when I’m using my camera and has an aluminium casing which appears really strong and hard-wearing, though obviously I am going to attempt to NOT drop this one. Overall, I am really pleased with the Lenovo Ideapad. 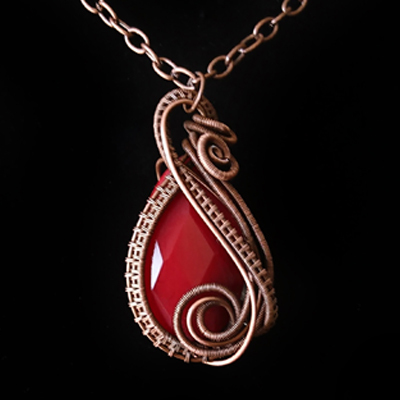 It is lightweight and not too big meaning it’s great for working on the go and when I sit with it on my lap to work around Alyssa. The screen is the perfect size and it is amazing to suddenly have high definition – it’s so clear! 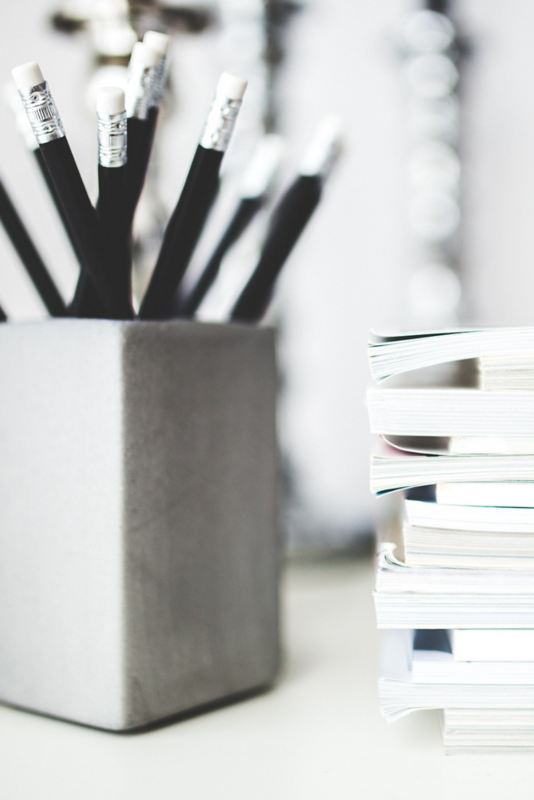 I was concerned it wouldn’t be able to handle the amount of work that I do and how much I have open and going on all at once but it has been a total trooper and I have not noticed any slowness or struggles at all. I am really impressed with the sleek design, it’s comfortable to use and easy to carry. 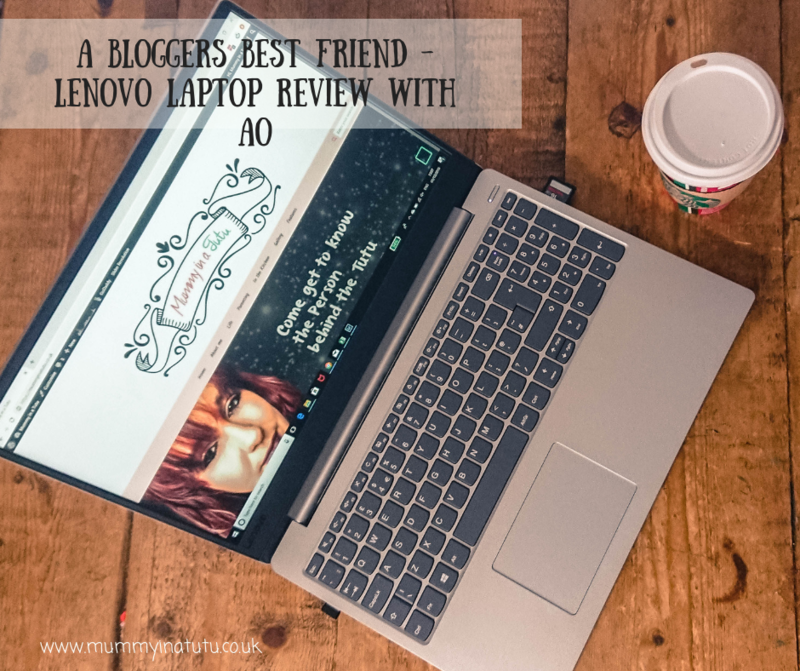 This little laptop is my new blogging best friend – thanks AO. *The Laptop was sent for the purposes of review – all opinions are our own.